About Company : SEOValley is one of the most trusted and fastest growing interactive marketing companies serving small to medium size companies worldwide. The company is in operations since 2001. The demand for SEO services and solutions worldwide has helped fuel the rapid expansion of SEOValley into the international market, where there is great demand for businesses to increase their online exposure to spur financial growth. About Company : Page Traffic was founded in the year 2002 with the objective of empowering e-businesses and generating the maximum ROI with effective Internet marketing solutions. We do not specialize in a particular industry because we have expertise in everything that we do. We are exclusive members of Dunn & Bradstreet, W3C, Search Marketing Association of North America and IIMA. 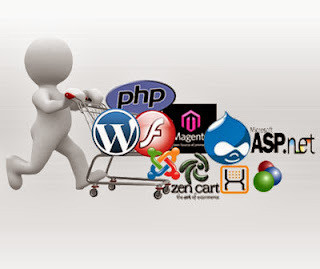 Web Development Company Pvt. Ltd.
About Company : Experis IT is the global leader in professional resourcing and project-based workforce and business solutions. We accelerate organizations' growth by intensely assessing and placing specialized expertise in IT to precisely deliver in-demand talent for mission-critical initiatives and provide anticipatory application solutions to help businesses cut across market clutter and stay ahead of competition. AES Technologies (India) Pvt. Ltd.
About Company :AES Technologies (India) Pvt. Ltd., is professional web development and offshore outsourcing company based in Coimbatore, South India. We focus the needs of our clients to provide 100% satisfaction. Our company is involved in providing web design and web development services, software design and development, mobile application design and development, Search Engine Optimization and web hosting. About Company :Viteb is a specialized IT outsourcing company based in India, offering some of the finest website & mobile app development services. At Viteb we believe in bringing client projects to life through our Offshore IT services by integrating them with next generation web technology, guaranteeing superior functional efficiency..
About Company : MSSPL is a premiere web design and mobile application development company based in Kolkata, India. Our expertise includes creative website, content managed sites, advanced web applications, ecommerce enabled site and mobile application development. About Company : Digital Arts is professional Web design company from Mumbai, India offers website design and maintenance service, ecommerce website development, internet marketing, graphics logo design and multimedia services globally. About Company : Since our inception in 2005, e-Intelligence has grown day-by-day as a leading Search Engine Optimization, Marketing Management, Web Designing and Development company. We have achieved formidable heights of success as we have kept ourselves updated with the latest industry trends and techniques.